"The census is an inventory of all known surviving Byzantine medical manuscripts — it lists their titles and locations — and is primarily a tool for other researchers to spread knowledge of horticulture, botany, medicine and literature in the Middle Ages. It took 30 years of concerted effort, Touwaide said, and increases the number of known manuscripts from approximately 1,500 to 2,300, tracked to some 150 locations. (…) This is more than just an exercise in logging historical documents. 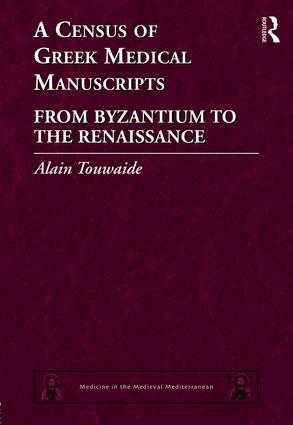 No two manuscripts of the same text turned out quite the same, and the fascination is in how they differ." "… profound, very meticulously prepared, and convincing … the book is the result of impressive studies conducted by its author over decades. It offers a considerable amount of important information … a most useful publication indeed."